Ned Overend (right) sits near the back of the lead group in the pro men’s race. 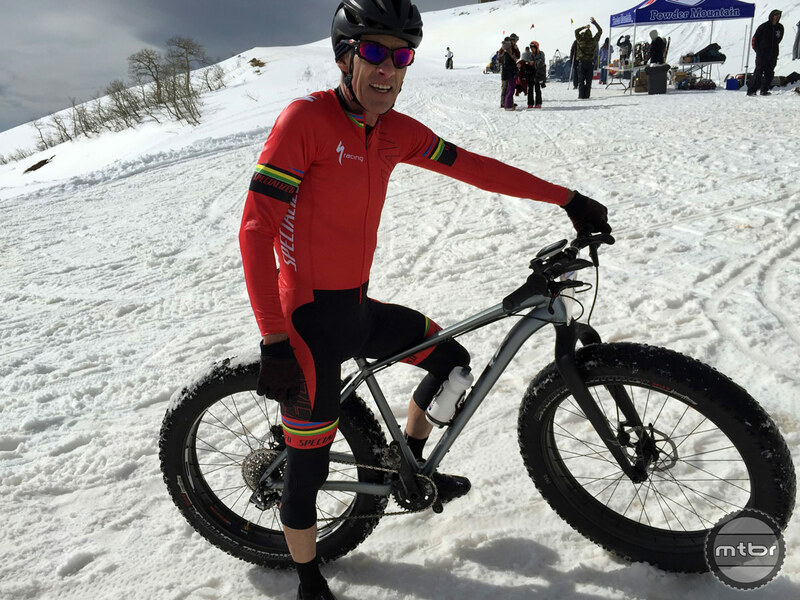 Proving that age is just a number, Specialized’s ageless wonder Ned Overend (Durango Wheel Club) took the inaugural fat bike national championship title on Saturday at Powder Mountain Resort in Eden, Utah. The women’s title went to Amanda Miller (Boulder Cycle Sport/YogaGlo). 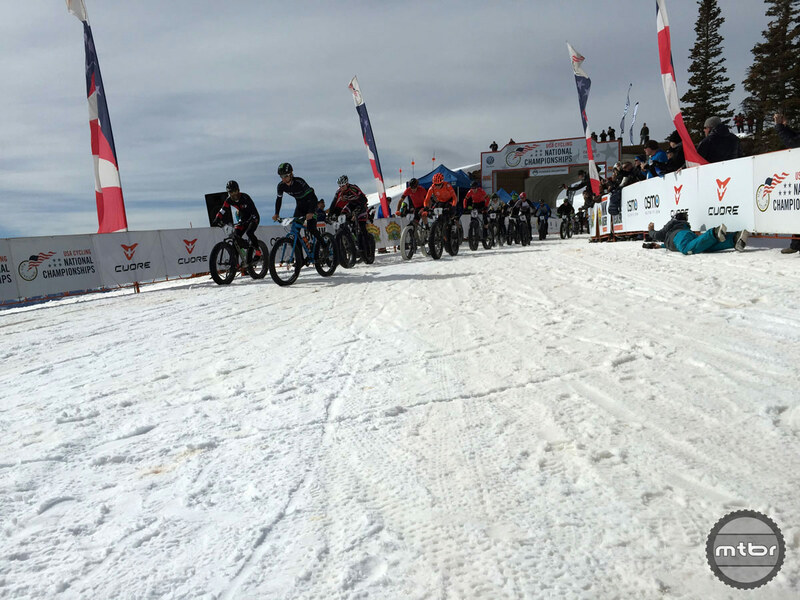 Overend, 59, a former mountain bike world champion, finished the 6.1-mile snow course in 1:09:40. 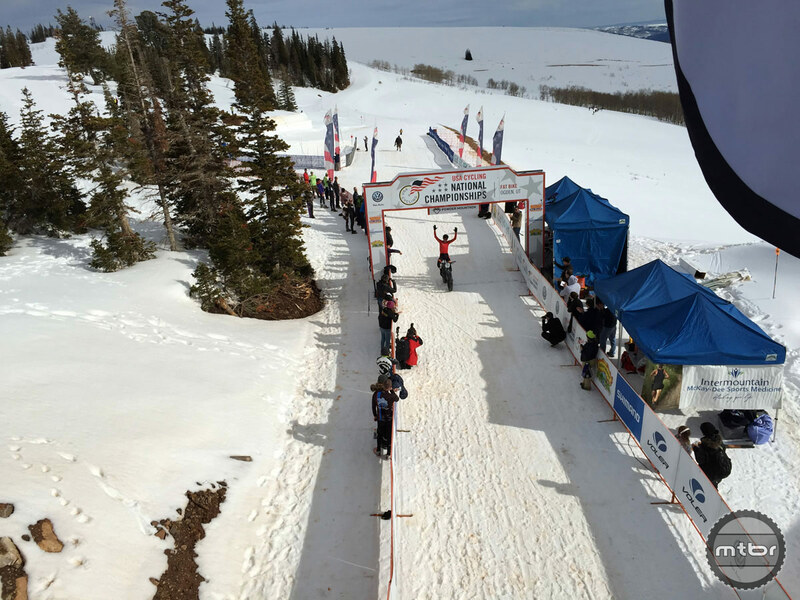 Brad Bingham and former cross country Olympian Travis Brown rounded out the men’s pro podium, finishing in 1:10:12 and 1:11:02 respectively. 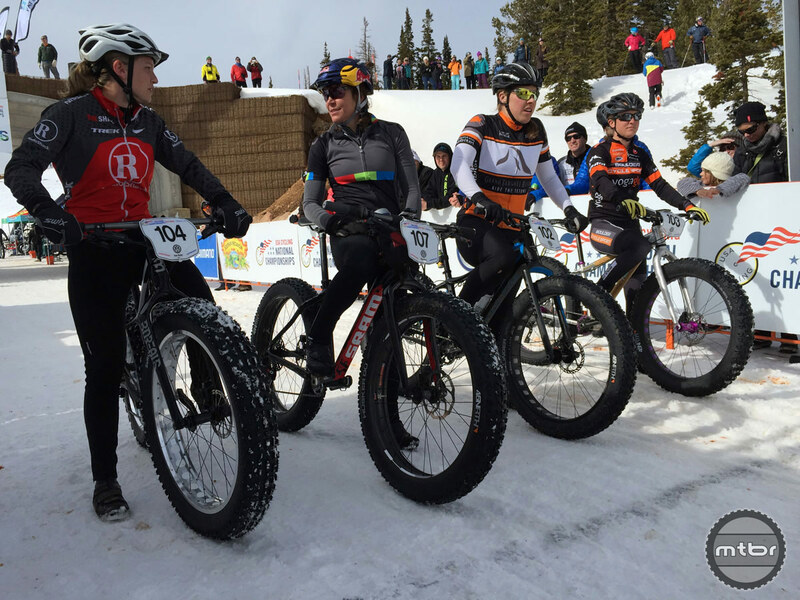 Ned Overend takes the win in the first fat bike national championships. 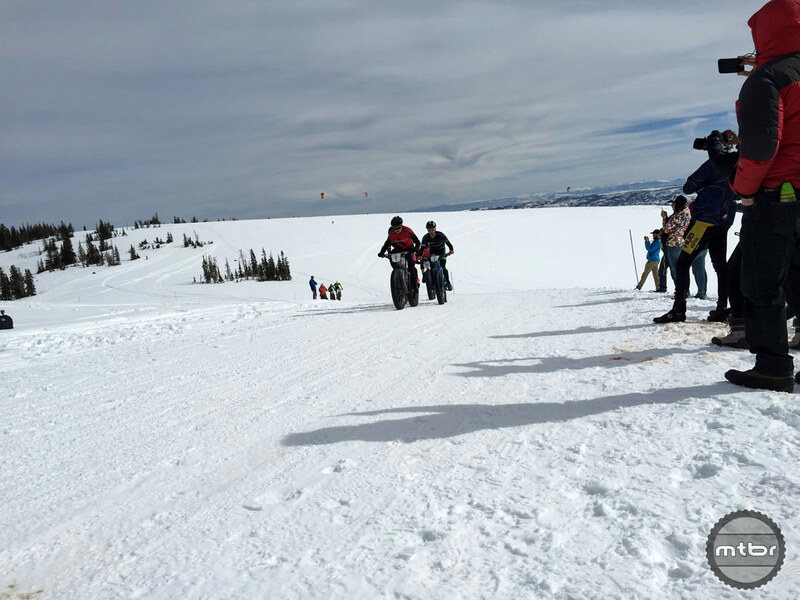 Racing was punctuated by spectacular views, with the course running adjacent to the Utah ski resort. Amateurs did two laps, while pros spun three. The course was mostly flat and fast, with numerous berms and a short climb mixed in to keep things interesting. Making the right tire choice was critical, and depended largely on what time of day you raced. In the morning the course was firm; but the snow turned to spring-like slush by the afternoon. Most fields had 15-20 racers, with 28 in the pro men’s competition and just five in the pro women’s race. 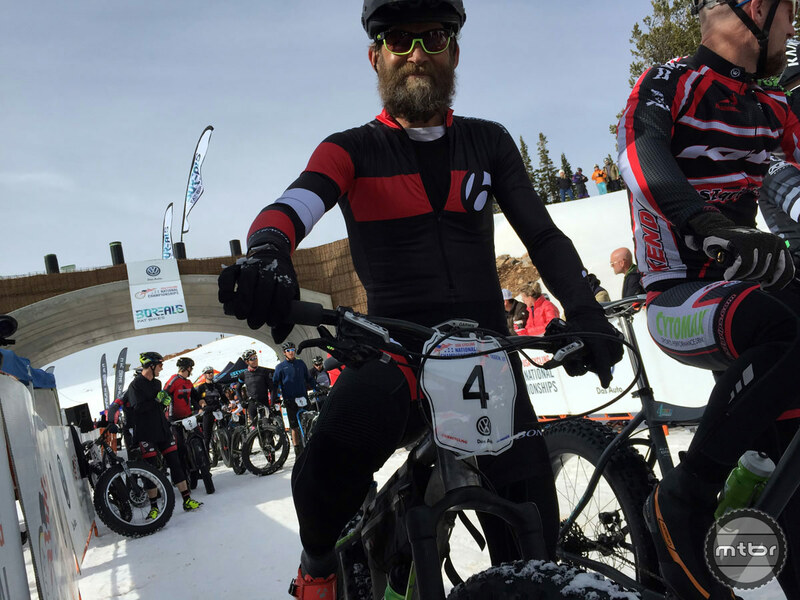 Mtbr ad rep and XC racer extraordinaire Mark Gouge was among the contestants, taking fourth in the master’s 50-59 race. When not spinning his fat bike, Gouge busted out his camera and snapped these pictures. The start of the men’s pro race. The pro men crest the top of the course’s lone climb of significance. A racer grabs a drink during the men’s pro race. 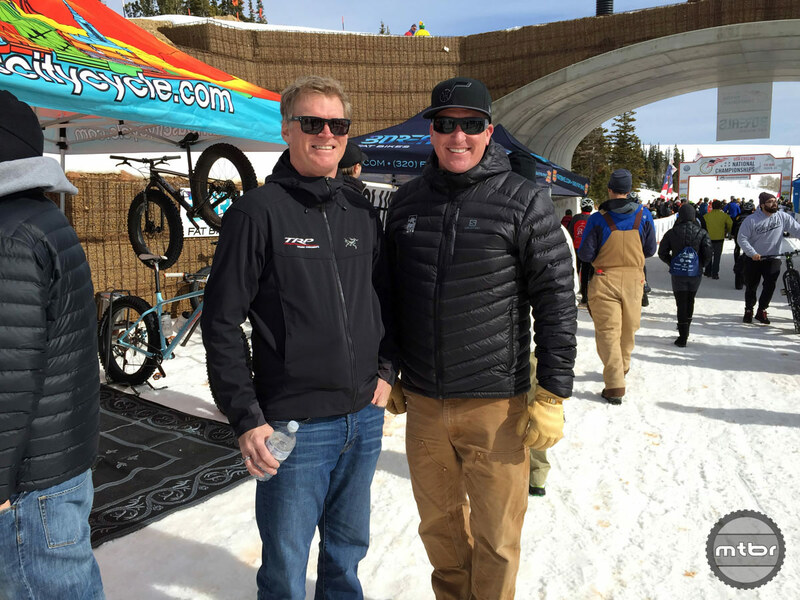 The first men’s pro fat bike national champion, Ned Overend. 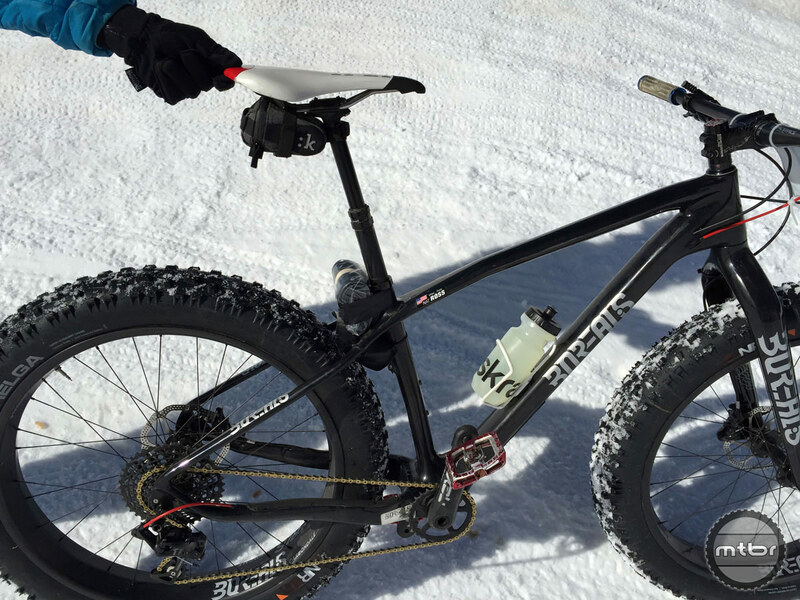 His Specialized fat bike is spec’d with Rotor Q Rings. Former Olympian and cross country national champion Travis Brown was third in the men’s pro race. The pro women line up to race. Ogden mayor Mike Cauldwell and TRP’s Lance Larrabee. 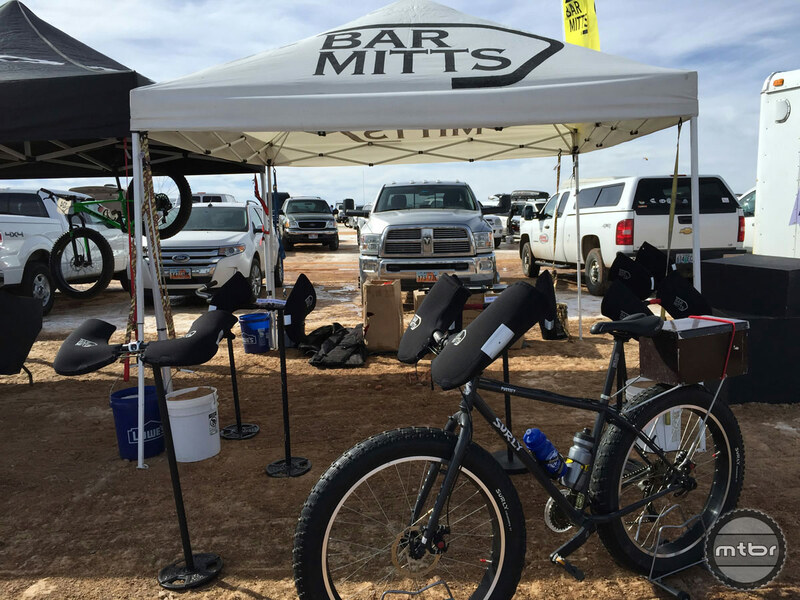 Bar Mitts have seen a boom in business with the increasing popularity of fat biking. 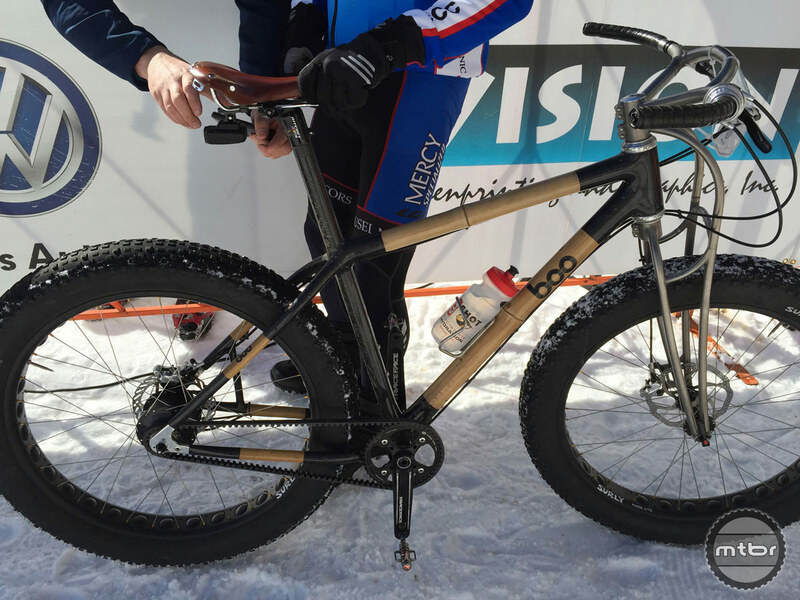 Even bamboo bike maker Boo is in the fat bike game. 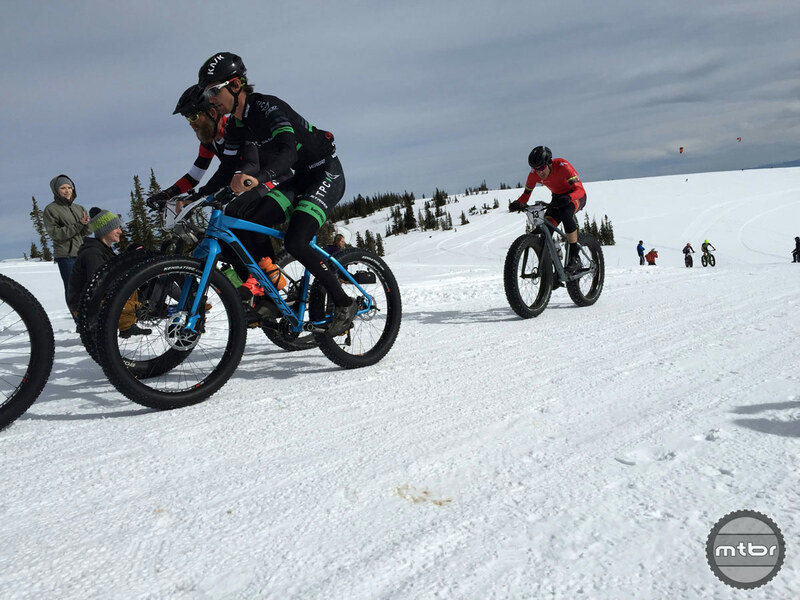 The Borealis fat bike of Mountain Bike Hall of Fame inductee Nat Ross. Salsa bikes were well represented in Utah. 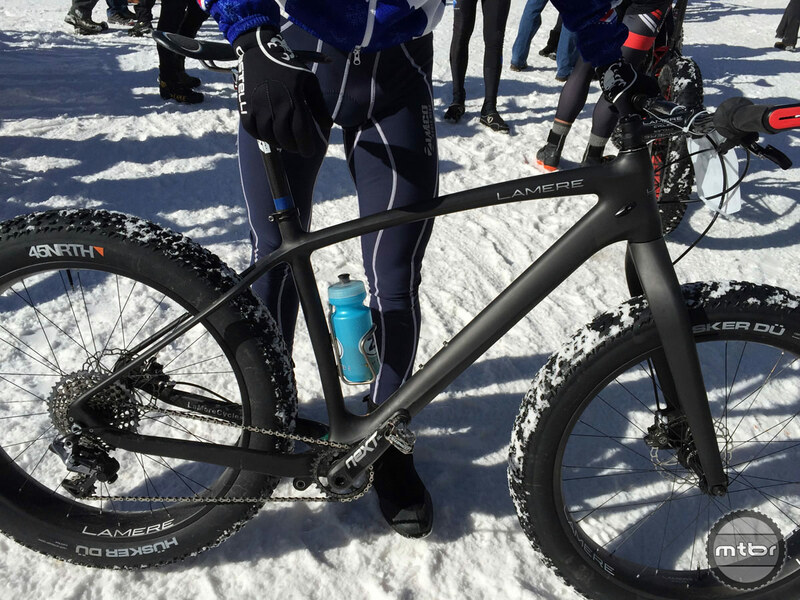 Lamere is yet another company with a focus on fat bikes. 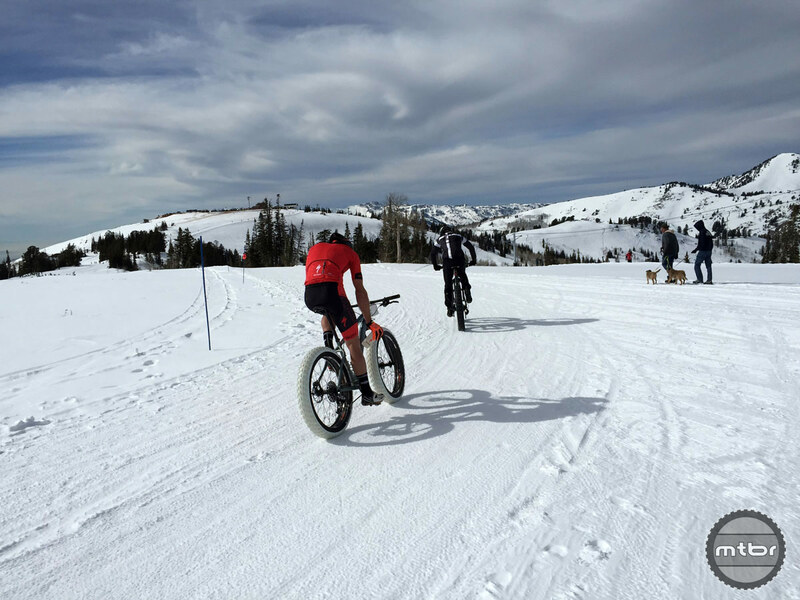 Fat bikes on 25 ft. wide machine groomed courses? Makes about as much sense as monster trucks racing on a NASCAR track. 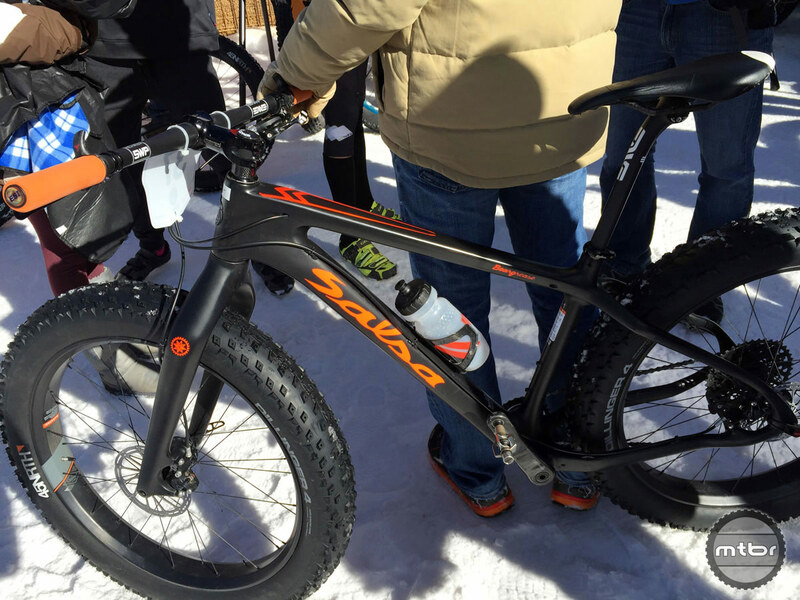 Lame, boring and the antithesis of fat biking.